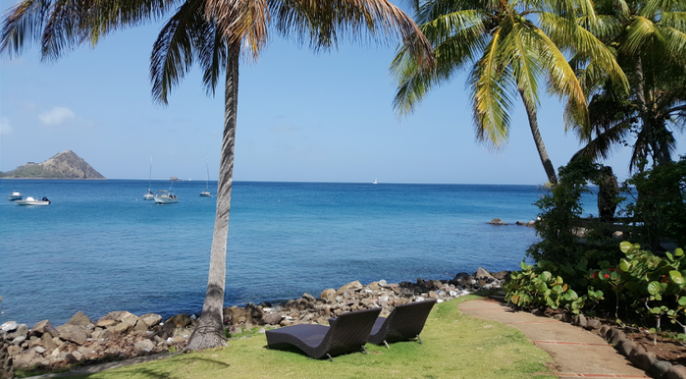 I was lucky to have been offered a place on the St Lucia Grand FAM trip hosted by the tourist board. On 17th June 2018, a group of 14 plus our host met up at London Gatwick to catch a very early Virgin flight to begin this educational. 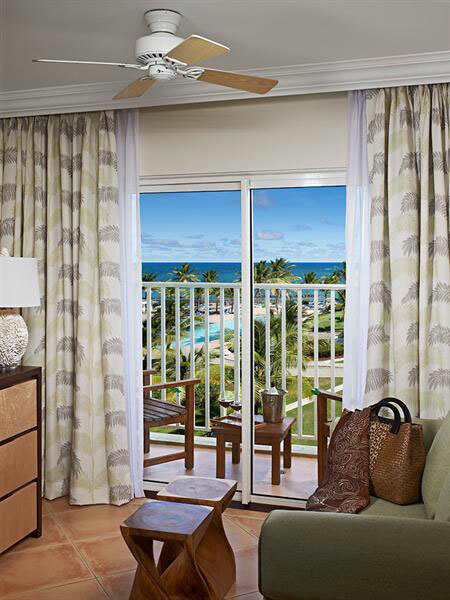 Our first stop was Coconut Bay, home for the first 2 nights. We didn’t have to wait long for our transfers, as the hotel provides it complimentary, and it is only 5 minutes from the airport which is great after 8 hours on the plane. As soon as you step out of the van you are greeted with drinks and a cold towel. 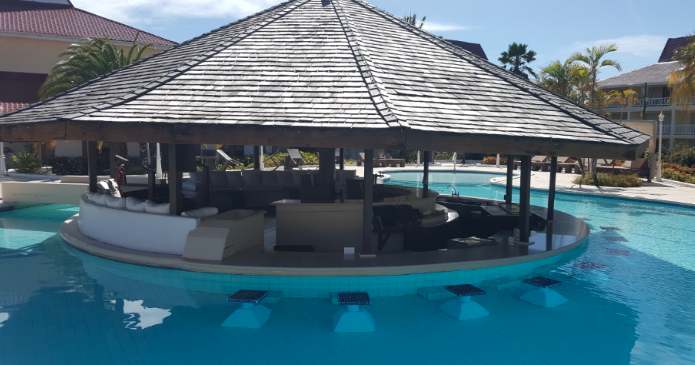 This resort is absolutely unbelievable it offers two worlds in one, where there is a family area with all the excited children or if you want the peace and quiet you can stay in the Adults Only area. I stayed in the Splash Garden View Room, which is located in the family wing; the rooms are equipped with 2 double beds, so families will have no problem fitting 2 children in there. We started our site inspection in the Serenity area of Coconut Bay this is Adults Only but you have to be 21 years and over to stay here, this is the area where guests will truly feel like they can be left alone, you never have to leave your room as you can order room service without interacting with the person who brings the food to you. There is also the Harmony section where it is for 18 years and over. 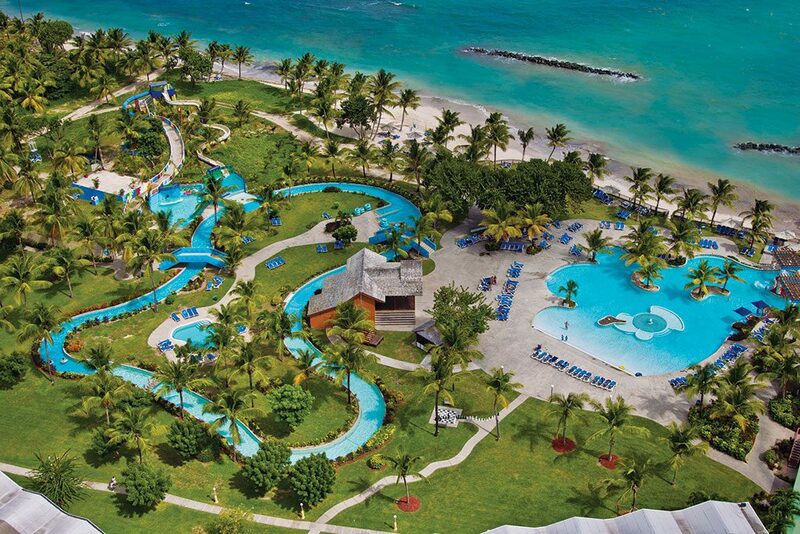 The facilities at this hotel are brilliant, they boasts the largest kids club an waterpark on the island, a petting zoo, even a paint-balling field. Food choices are endless, with 8 restaurants, 7 bars and a beach grill. You will never get bored here as there is so much to do. My only regret was not able to try the jerk chicken at the Tree House shack, maybe next time. Our second day, we went to inspect Anse Chastanet, the journey here took almost an hour and the roads were very bumpy and steep which I didn’t think we were going to get up on to. Once we made it we were met with the manager, Peter, who was a great host. We were able to see one room as the hotel was running at a full capacity, the whole resort itself is very basic and rustic, with no TV, no telephones to disturb the peace. The location of Anse Chastanet is perfect if you want a nice, quiet beach stay and for the stunning views of the Pitons. 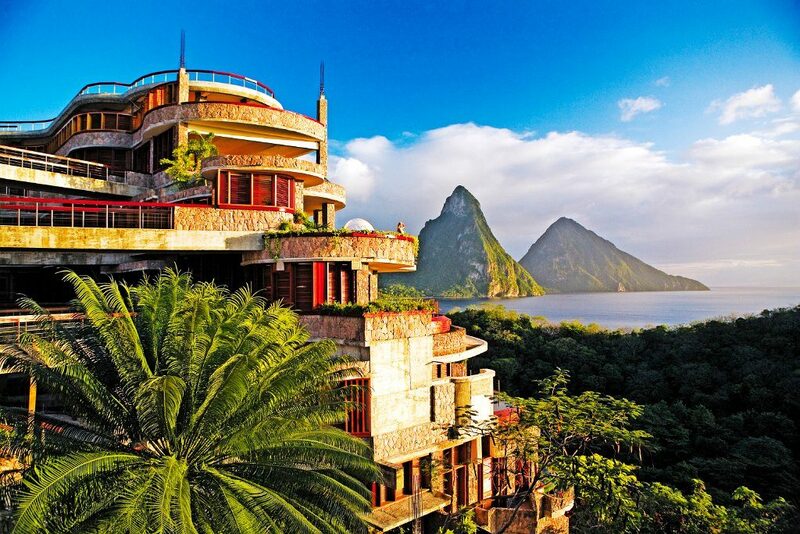 We then moved on to the sister property, Jade Mountain, a 5 star luxury hotel where if you are lucky enough you will be able to spot a celebrity! This resort is like no other, the design of this hotel definitely reflects what the designer wanted to give guests. The room here definitely takes you closer to nature, the rooms are open plan, no doors to the toilet or shower and there is no fourth wall. After the site inspection it was time for our hosted lunch, every course was delicious. After our hotel inspection for the day, we went to the Sulphur Springs; the world’s only drive in volcano. We were running very late and so we missed our tour of the volcano but fortunately for us they allowed us to still enter the mud baths, which is known to have healing powers. Also, a bonus for us there was no one else around so we didn’t have to fight anyone of for the mud and space in the baths. The next day we checked out of Coconut Bay, and moved on to the next hotel, Harbour Club Hotel where we stayed for the next 2 nights. 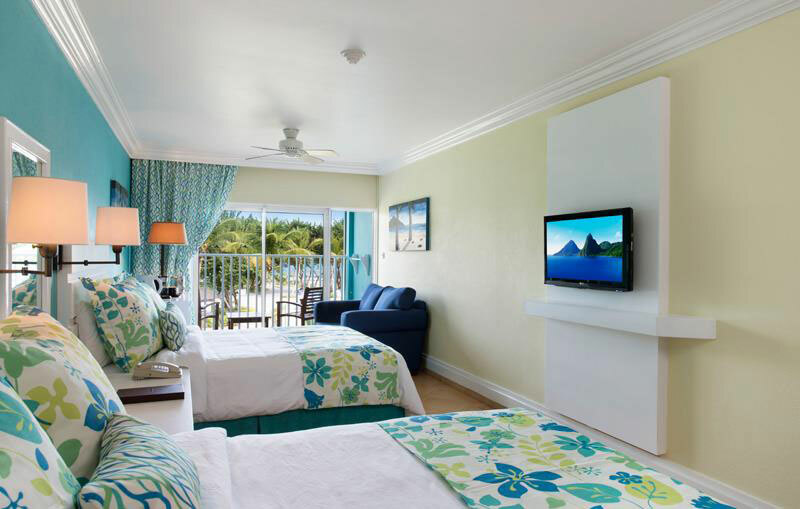 This is a relatively new hotel in Saint Lucia is located on the Rodney Bay Marina. The rooms here are immaculate, modern and clean. I got to stay in a room with a balcony that overlooked the pool and also massive enough to fit 2 double beds. 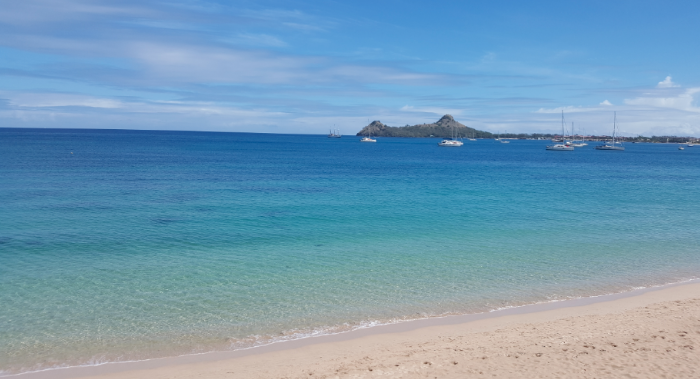 After checking in and our site inspection of the hotel we went on to do our next activity, the tour of Pigeon Island followed by the Sea Helmet Trek. At first I was very scared to do this, as we would be 30 feet underwater and I can’t swim but I got over my fear and it was honestly one of the most unique venture to experience. Although the helmet does get heavy as you are underwater for quite a while, it was worth every moment. your blog and shared this on my Facebook. Thanks again for a great post!